The research is responsible for the development of the Weaponry systems and the improvement of their efficiency on the battlefield. 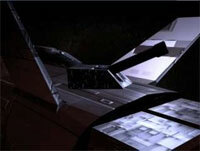 The development of this technology is needed so that your ships can cause more damage. With each upper level of this research the attack of all your ships (independent of the type of weapon) increases with 5%.